On our family summer vacation, we visited Atlanta. I had the opportunity of trying out Sam Flax, Art and Design Store. This store carries so many art and craft supplies, I was easily in there for 3 hours. 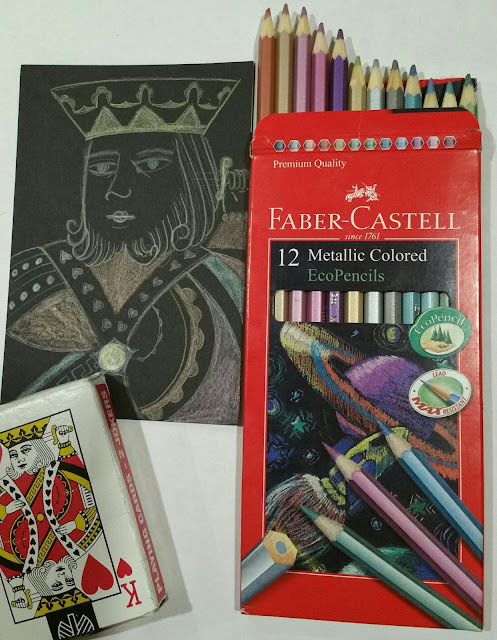 I really didn’t need anything, but I happen to pass by these metallic color pencils and thought, why not? 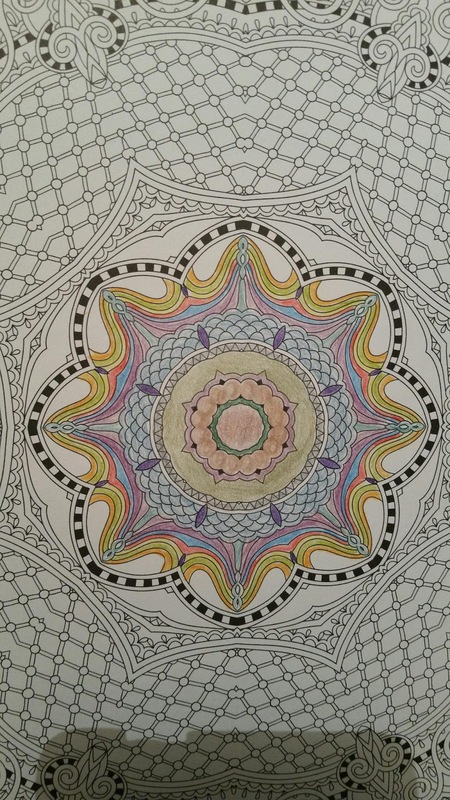 I like to color and have many adult coloring books. 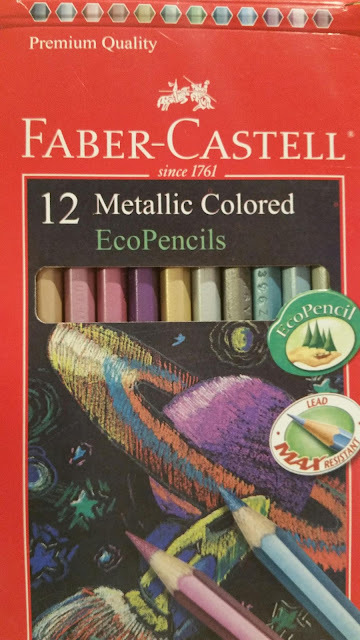 These Faber-Castell brand cost about $6.75 for a pack of 12. It depicts a picture on the outer package that they have “outstanding effects” on black paper, but I imagined that they would work on white paper. I love that these are Eco friendly pencils and that they are an affordable price. While using them, I could vary the degree of pressure and, like the package stated, the lead did not break or budge. The middle colors are metallic. They don’t work the same on white paper ☹. Yes, you can use them, but you don’t get the metallic effect. They work like normal colors and the pigment is really light, you have to press hard to get it to show up. Upon using these on my coloring books, you really can’t see the “metallic” sheen. 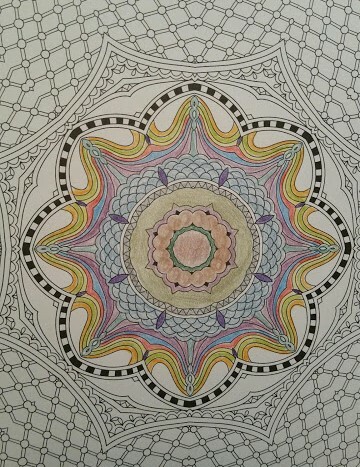 Look at my mandala above, the bright colors on the outside are regular color pencils, but the center colors are all metallics. On the black paper, I was not really impressed either. I just wanted the colors to show up more or brighter. 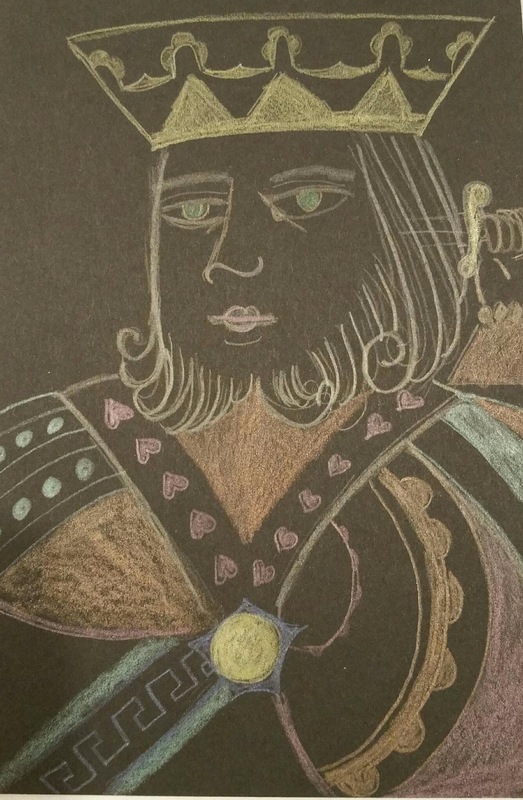 What do you think about my King of Hearts? Does it show up well? 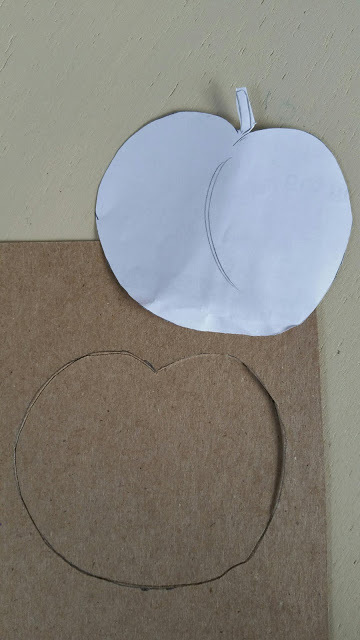 NOTE: The black paper I used was a cardstock, the white paper was a regular printer paper on the color palette test. Colors in the Shadow look a bit darker. Also, there is little variety of colors and some colors resemble each other. Look at my diagram below. 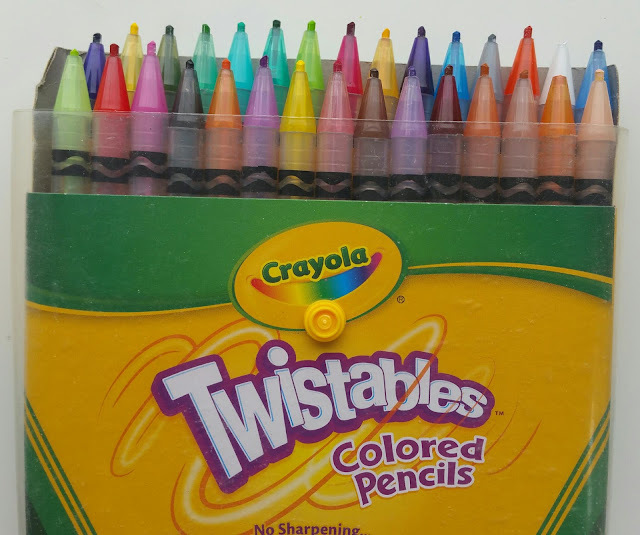 NOTE: The names are given by me, these colored pencils have no factory names, which at times make it difficult to pick up the same color. Doesn’t the Light Pink and the Dark Pink look pretty similar? What about the greens? 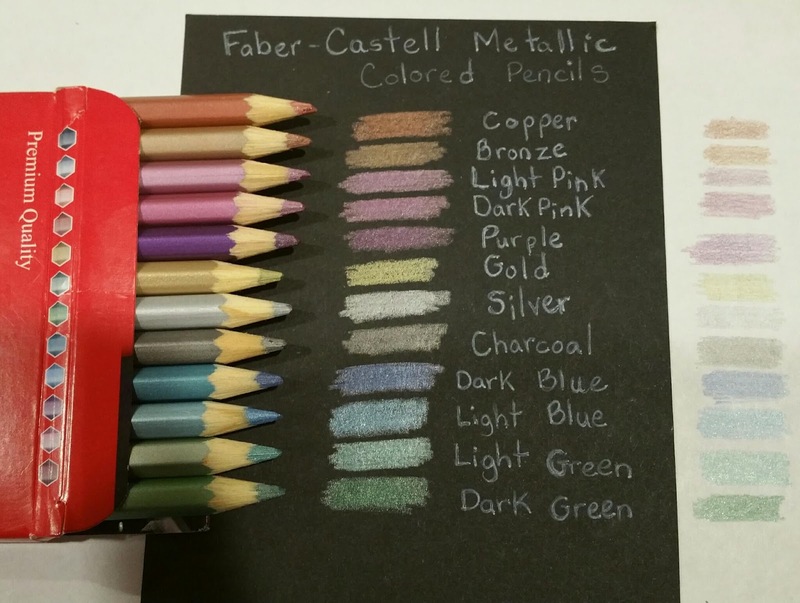 I was underwhelmed with these metallic color pencils, even though they were priced right. I wish they would have lived up to their statement "More pigment for smooth, bright colors". I imagine I will give these to my daughters to play with, but had to try them out to see how they worked. 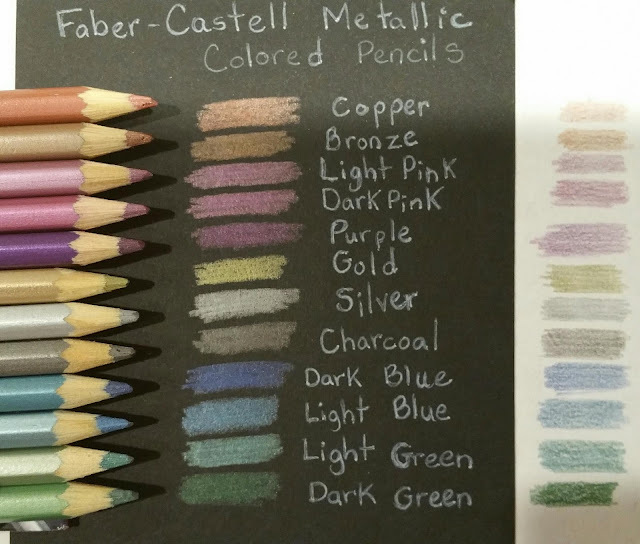 In the future, I hope that Prismacolor Premier comes out with their very own set of metallic color pencils again, because I love their rich and smooth pencils. They do metallic color pencils justice! Should I buy this product? Skip this Product! Have you used the Faber-Castell Metallic Colored Pencils? What did you think about them? 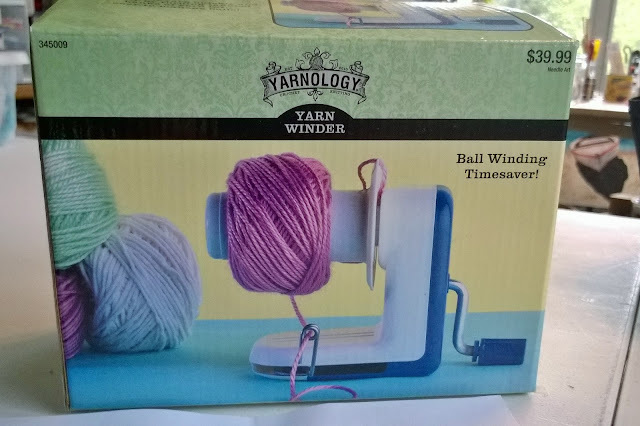 Labels: Beginner Crafter Colored Pencils Coloring Crafty Product Review Skip this Product!